Internet Dental Alliance’s LeadFire 2.0 program lets you list professional dentist credentials for all dentists associated with your practice. 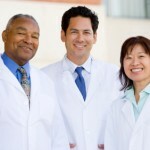 For each doctor, you can list credentials, degrees, association memberships, and a wealth of other information including a photo, video, and a short statement of philosophy. 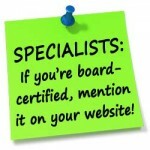 Are you a specialist? We want to be sure that your board certification is correctly represented on your IDA dental websites as required by your state dental board.